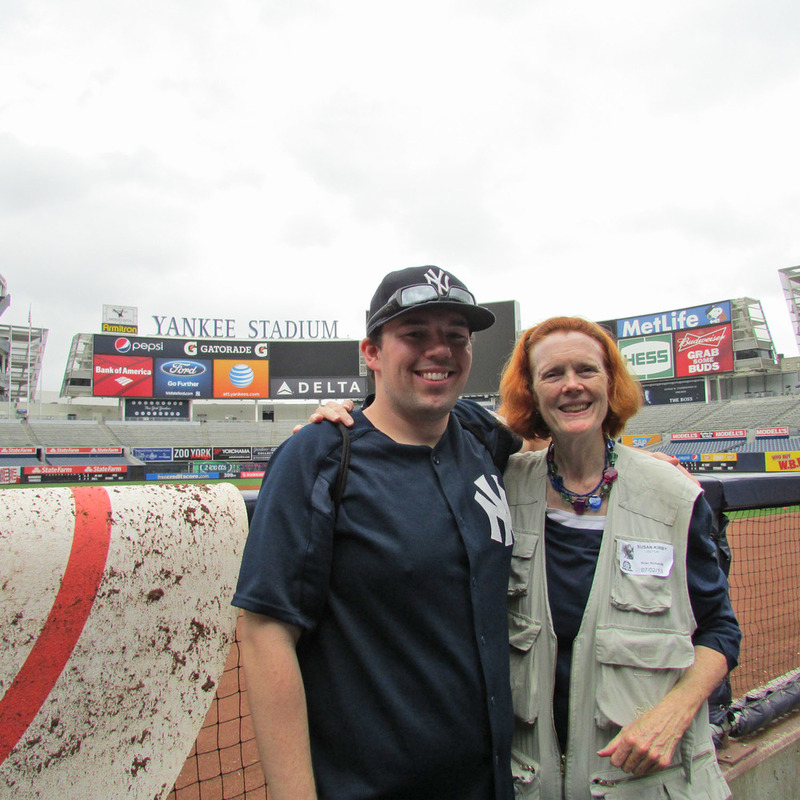 Your Chronicler has been going to Yankees games for more than a decade (I admit I started out as a Cardinals fan, and then became a Mets fan when I moved to New York). I began my turn to the "dark side" after the 2000 World Series, when I rooted for the Mets but really got a chance to watch Derek Jeter. 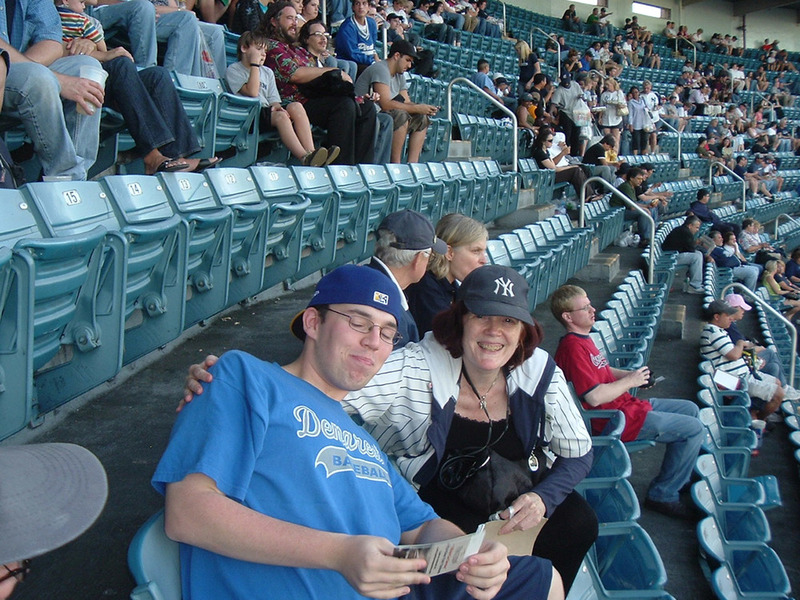 After my first visit to the 161st and River Avenue in the Bronx, I began adding tickets each year, and by 2009 I was a full-season ticket subscriber at the new stadium. And I got to attend the World Series. What joy! I still love the Yankees, but doubt that I can maintain a full season of games any more. This page is my effort to share my love for the game, as well as my frustration with the team. I wrote a blog posting on August 29, 2016, about my bad relations with StubHub in trying to sell Yankees tickets. I won't include the text here, but you can read it here. The post-2009 World Series seasons for the New York Yankees haven't taken them as far as the fans (your Chronicler among them) would have liked, but it has still been a wonderful time in the ballpark. The 2016 season is under way, and the boys just aren't playing well this year, I'm sorry to say. And I often leave after the eighth (see above). But I have lots of fun in Section 418. Row 3. Come say hello. In 2013, the Yankees held the Canon Photo Day for the full-season ticket holders. It was wonderful to be on field level and to say hello to the players. I was able to get my picture taken with the marvelous, magnificent, legendary Mariano Rivera, and I had to post it! WORLD SERIES! WORLD SERIES! In 2009, I got to attend my first World Series! And they won #27. I was at the three games in New York. Oh, yes! We do love it! And Derek Jeter. Love. There's no other word for it. We love Derek. And Derek loves baseball. Derek Jeter played with the energy and youth and intensity of all the players I've loved over many, many years of watching the diamond. Your Chronicler has a song she used to sing to him before going to the ballpark, "O Del Mio Dolce Adore." I was there when he had his 3000th hit, and when he said goodbye to the old Yankee Stadium and for his last game in the new Yankee Stadium. It's been a tough without Mr. Jeter to cheer for and drool over. Hope he's very successful in his retirement as a player. Yankee Stadium. And the Yankees. I've had season tickets for a while, but in 2009 I got a full season for the new stadium, and I renewed for 2010, 2011, 2012, 2013, 2014, 2015 and now in 2016. I used to be the crazy red-headed lady with the pins, but I gave up wearing the Jeter jersey with all my hardware back in 2014. But I'm still the one who shouts and yodels and roots on the team in a frenzy, flipping popcorn everywhere when there's an exciting play. My apologies to the people in the second row. I will say, so many of my memories come not only from watching the games, but also from the marvelous vendors at Yankee Stadium — the amazing Alva, whom I used to buy popcorn from in the old stadium and now works on my level in the new stadium; Dave, who scans my tickets most games; Jonathan, whom I buy my sausage sandwiches from; Michael (I see him so many places around the stadium, and he always has a great smile); the man who sells me popcorn now near 428, and the many elevator operators in my "lucky elevator" who smile and greet me when I say, "Nosebleed, please." There's a photo below of my seat at the old Yankee Stadium (46-game series, Tier 7, Row M, Seat 15). I didn't buy it when they tried to sell off the old seats after the stadium was torn down (where would I find room for it in the hovel?). The picture below shows Ellen Couch, a devoted Yankees fan, with her Andy Pettitte stare. We take our Yankees seriously. The best read around: Murray Chass ... On Baseball. Chass is intelligent and sophisticated and usually asks the right questions. Don't call him a blogger, though. He hates blogs. A guy who used to sit behind me at the new Yankee Stadium has a blog (he does call it a blog) called Yankee Stadium's Misfits of Row X. The last entry is for 2013, and I am sorry I haven't seen more from him in a while. His blog was a kick to read and gave a passionate fan's perspective of what's going on in the Bronx. I have so many memories from the old Yankee Stadium, and the new. To watch Mariano Rivera pitch was a true honor, and his final year was a tear-jerker on so many levels. I am thrilled I got to be there on his last day. I try to make as many games as possible in the Bronx. I'm going to post now a lot of pictures from the Bronx, and hope to keep updating this page and my blog with baseball stories and photos. But before the gallery appears, take a look at this next screenshot. It's a photo of your Chronicler (in the Derek Jeter jersey) on the final day at the old Yankee Stadium. It was posted on the Newsday site. Ellen is to Chronicler's left. There was no photo credit, copyright Newsday. Ellen and I walked around the field before the game, breathing in as many memories as possible and maybe, just maybe, picking up a little Yankee Stadium dirt. In the gallery that follows, there's my 46-game seat at the old Yankee Stadium, along with a photo of Matt Aballi, who sat near me for those 46 games. He was such a youngster in those days. Now he's a handsome young man who still loves baseball and blogs about fitted caps in The Fitted Diaries. The last shot shows him in 2012 on a photo day. These shots are pretty much self-explanatory. The first shots with Brett Gardner and Rob Refsnyder were taken on the Canon Photo Day on June 26, 2016. The shot with Jacoby Ellsbury was taken on the Canon Photo Day in 2015. On the field level, there are a lot of photos from the Yankees' past greatness. This is one of my favorites. Having season tickets means I get lots of bobbleheads, player figures, hats, and — best of all — Yankee Snoopys! The boys of summer guard my art books and other valuables.